A history of the Honda V4 - much of it told for the first time. Explains how these charismatic motorcycles came to be built, their strengths and weaknesses, and what makes them uniquely special in a sea of Universal Japanese Motorcycles. 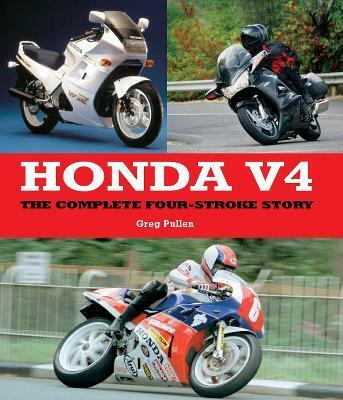 Covers the design and development of the first Honda V4, the oval piston, the VF road models and the iconic sport touring bikes.